Raymond Briggs receives the Book Trust Lifetime Achievement Award 2017. The speaker is Nicolette Jones author of ‘Raymond Briggs Blooming Books’. The award is presented by author and illustrator Chris Ridell, who was taught by Raymond Briggs at Brighton School of Art. In the audience, sat next to Raymond Briggs, is author and illustrator Shirley Hughes who received the Book Trust Lifetime Achievement Award in 2015. Raymond Briggs with Shirley Hughes (Alfie, Dogger) at the Book Trust Lifetime Achievement Award 2017. Shirley Hughes was awarded it in 2015, Judith Kerr (The Tiger Who Came To Tea) in 2016 and Raymond Briggs in 2017. The incredibly helpful and knowledgeable Gary Welch (http://syncsummit.com/welch), director of Eyehear music, was in at Lupus Films yesterday to discuss the choice of music tracks for the film. We have just completed four days of voice recordings at Goldcrest ( http://www.goldcrestfilms.com/films/post ) and managed to get some superb performances from a stellar cast of leading British actors. Brenda Blethyn and Jim Broadbent played the lead roles as Ethel and Ernest. Mark Appleby at Goldcrest ( http://www.alchemea.com/alchemeahalloffame/mark-appleby-adr-mixer-technician-goldcrest-post ) was our ADR Mixer. Thanks Mark ! Pre-production continues ahead of a busy 2015 for the production team! 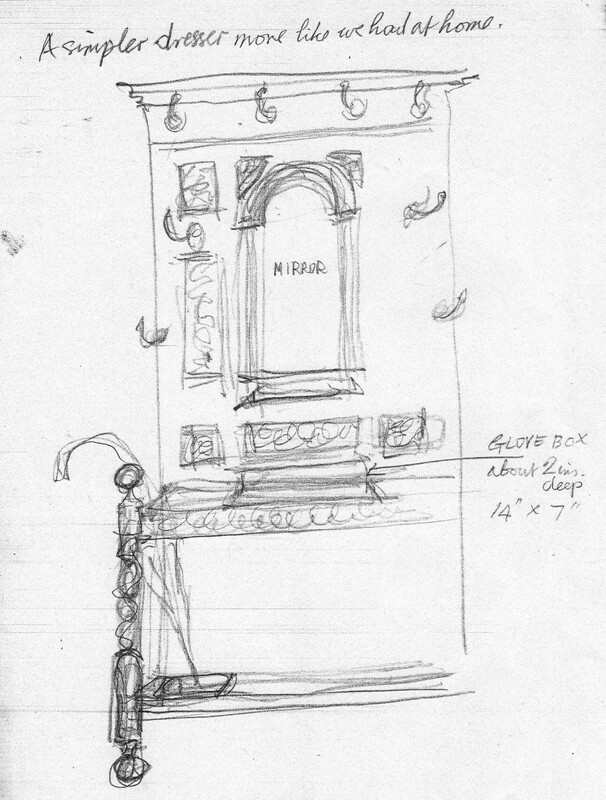 This is one of the sketches that Raymond Briggs has done for the Ethel and Ernest design team. It shows how the coat stand in the hallway looked. The hallway is a part of the house that isn’t seen in the book but it will feature in the film, so getting these details as authentic as possible is important.